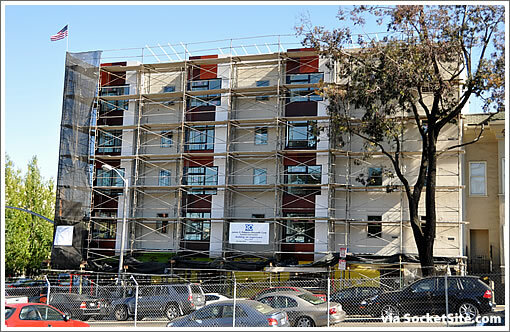 A plugged-in tipster captures the first peek of Octavia Court being unwrapped at 261 Octavia Boulevard. Once again, it’s fifteen units of affordable housing for disabled individuals and their families by Satellite Housing and West Bay Housing Corporation. 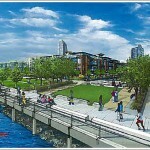 Hunters Point Redevelopment Plan For 10,500 New Units Approved!